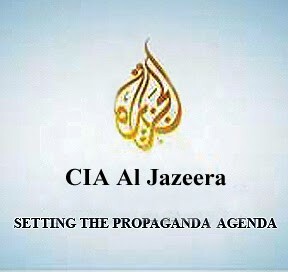 As Obama's propagandist spy agency Al Jazeera continues to be ejected from country after country including Iraq, Syria and Egypt and most recently the United Nations as spies for the United States intelligence services and provocateurs for the Israeli Mossad, from time to time we see former AJ "journalists" attempting to sanitize themselves with the assistance of pro-U.S. propagandists. The straight fact of the matter is Chan was busted gathering intelligence for the CIA while working under the cover of being a "journalist" for the CIA owned and operated Al Jazeera. She was fortunate to escape with her life, after the U.S. government and Doha masters reportedly paid a substantial ransom for her release. She is now supposedly "studying" at Stanford University - code for in-depth debriefing and advanced intelligence training. Al Jazeera has dispatched it's U.S. spies to troubled nations rich in natural resources that the United States covets to foment civil war and secterian violence in order to destabilize these countries and pave the way for NATO "humanitarian intervention." They are now concentrating on the destabilization of Africa, Myanmar and Indonesia. This is also the case with CIA Al Jazeera Indonesian agent Step Vaessen, who just completed an E. Timor hit-piece on the Indonesian government, an ancient story designed to once again spark Muslim/Christian violence and throw upcoming presidential elections to fundamentalist candidates. Vaessen is of Dutch origin and was born in Simpelveld in the province of Limburg, in 1965. 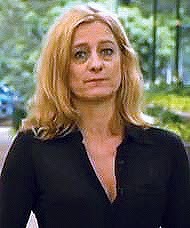 She graduated in psychology in Nijmegen and then took a postgraduate course in journalism in Tilburg. Nijmegen is also an important centre of Psycholinguistics, home to the Max Planck Institute of Psycholinguistics and the Donders Institute for Brain, Cognition and Behavior. The subject of the wiring of the brain in relation to language arose from and remains part of psychological warfare. The use of psycholinguistics is important for subliminal suggestion (propaganda into the subconscious of viewers) in mass media and for certain aspects of code-breaking, for example analysis of code words and slang used in secret messages. Nijmegen is on the German border, where much of the population is German-speaking and therefore was a recruitment center for NATO espionage during the Cold War, which is when the Dutch intel service got its reputation for professionalism. Vaessen's first media work was for Radio Rataplan, an anarchist pirate station operating inside illegally occupied buildings by the squatter movement. These were centers for contraband drug distribution with its accessories in alternative music (the DJ scene), Ecstasy-powered rave and trance, underground art, and ll the other trappings that originated during teh Cold War collaboration of the LSD-dispensing CIA and the Frankfurt School of anti-communist Marxist social engineers. The Tavistock Institute in London, a center of Freudian theory played a crucial role in the so-called sexual liberation and youth revolution, which culminated in the Fall of the Berlin Wall. The anarchist squatter scene was also a recruiting ground for the CIA successors to the MK-ULTRA mind-control program. Officially sponsored Satanic cultism was also heavily promoted as part of a long-running Jewish covert campaign against Christian church authority and social values. Vaessen later worked for the state media. The Nederlandse Omroep Stichting (Dutch pronunciation: [ˈneː.dər.ˌlɑnt.sə ˈɔm.rup ˌstɪχ.tɪŋ]) (abbr. NOS) (Dutch pronunciation: [ˌɛ.no.ˈwɛs]), English: Netherlands Broadcasting Foundation. The Arondeus prize was awarded to her for her support for homosexual rights, another element in the Jewish-Kabbalist-Zionist campaign to destroy Christian values. These influences explain how Dutch dolls are produced, for example, Step Vaessen, a mind-controlled prostitute promoted as a TV reporter. Her high visibility mission is obviously aimed at setting honey traps for Muslim VIPs and political leaders, under the rubric of combating the sponsors of terrorism. The real job is more like procuring oil drilling contracts, landing rights and unsuspected hangars, and investment into Dutch banks. Veassen is the classic "sleeper" inserted by colonial intelligence agencies who are now severely restricted in their Indonesian operations due to well deserved anti-colonialist sentiments by the Indonesian population. The 5th Estate will be reporting in-depth on Vaessen, her spying activities in Indonesia for over a decade for the CIA and her past and present intelligence work with Dutch, Australian and Zionist intelligence agencies.